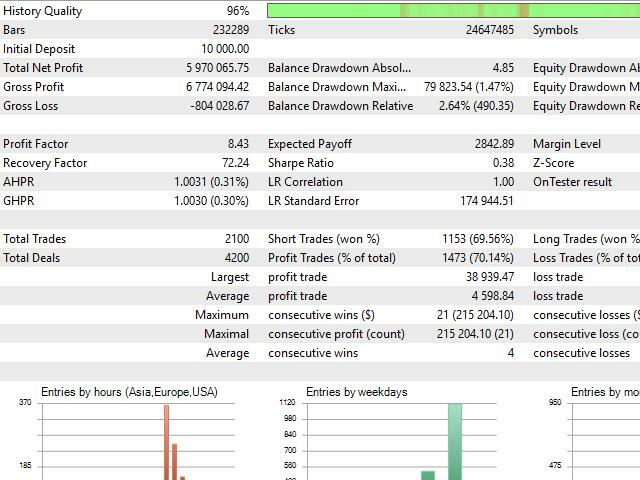 This is a fully automated trading robot. 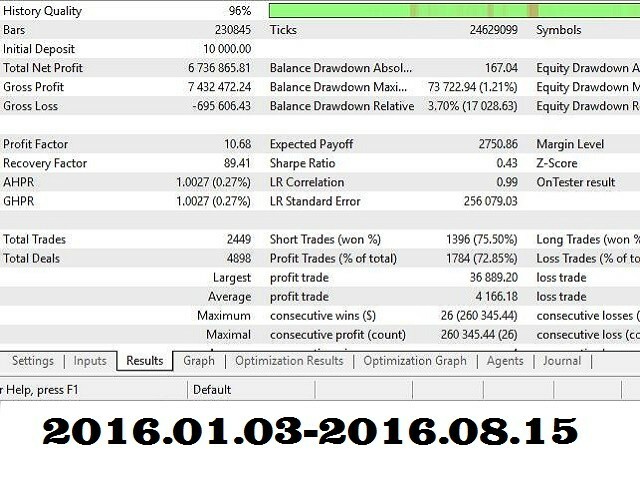 Conqueror MT5 trades using pending orders, and modifies the pending orders following the market price movement. When it starts, the EA places for pending orders: two BUY STOP and two SELL STOP. The EA places 2 orders at the distance of Distance1 from the price and 2 others at the distance of Distance2. After that the EA trails these orders following the price, changing them every few seconds - Timeout to move orders. 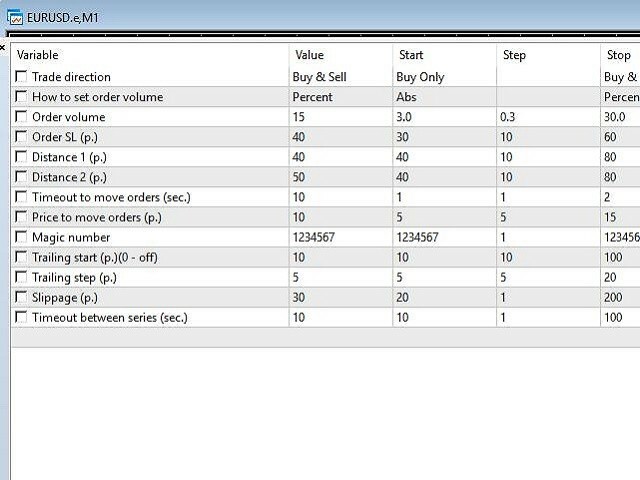 Each order has individual stop loss - Order SL. Each order has trailing - Trailing start and Trailing step. Also, to prevent moving the pending orders at every point, the EA uses Price to move orders - the minimal distance, below which orders will not be moved following the price. Works with any brokers that provide ECN accounts. The EA works on any pair, recommended: EURUSD. Trade direction - trading direction, only buy, only sell, or both buy and sell. Order volume - order volume. Order SL - stop loss of order. Distance 1 - distance to the first pair of pending orders. Distance 2 - distance to the second pair of pending orders. Timeout to move orders - time in seconds, after which the orders shall be moved following the price. Price to move orders -the minimum distance, below which orders will not be moved. Trailing start - the distance at which Trailing Stop shall trigger. Default setting is absolutly lost! Need optimisation for good settings. I start optimase 1 year. Give good results to the moment. 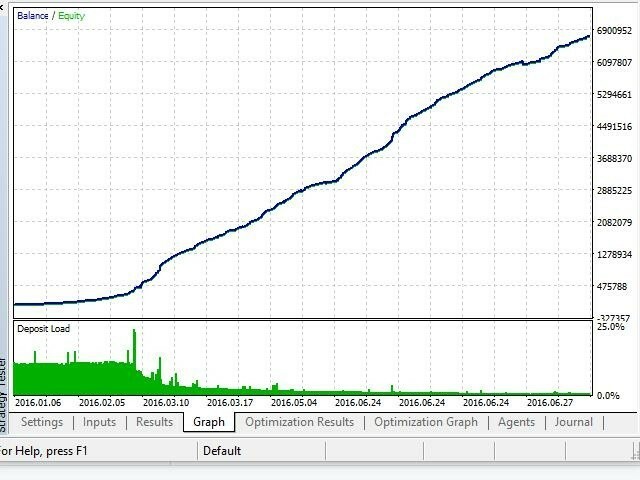 Aafter finish optimisation and test one month in demo with new setting, may by i give 5 stars. Losing money machine. 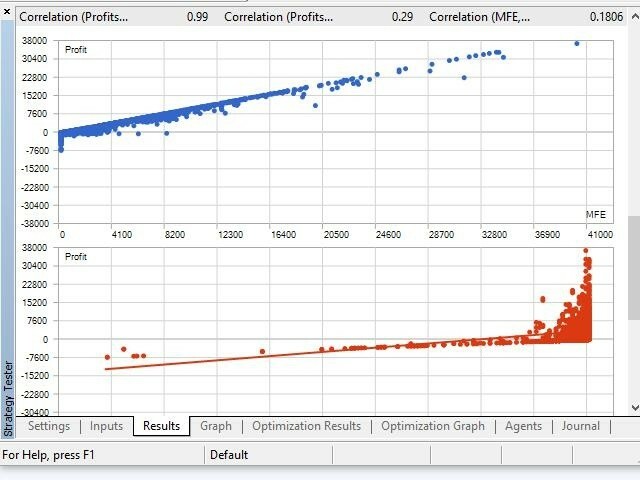 Don't trust the backtests.